PLOT: Fighting and violence ensues as a failing ice hockey team finds success using whatever means are necessary to avoid the team being wound up or sold by its mysterious owner. Our latest film club choice brings up our dirty dozen, so it is appropriate that it is Simon’s choice. 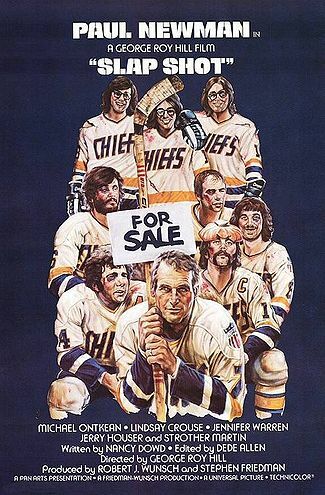 To coincide with our sports themed podcast Simon has picked for us the 1977 Paul Newman comedy drama Slap Shot. 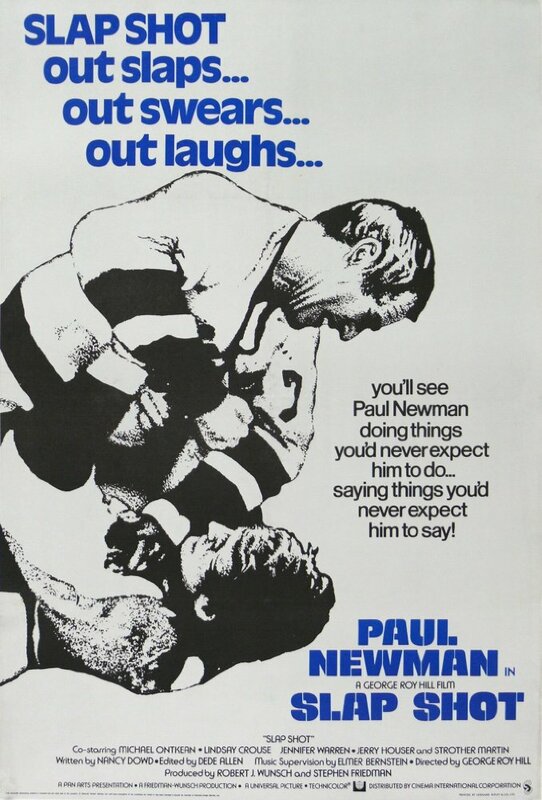 With the tag line “you’ll see Paul Newman doing things you’d never expect him to do… saying things you’d never expect him to say”, the film plays heavily on its big star and the antics he and his team get up to, with Newman crediting Slap Shot as the film that taught him to swear! But how well does the film hold up 40 years after its initial release? You can see our scores here or listen to the teams comments in the video below. You can also give us your opinion in the comments below or via our social media sites. Simon - "I like these bleak 70s settings"
Gordon - "a sports comedy with very little sport or comedy"
Mat - "You could easily take an hour out of the middle of the film"
A horribly mis-cast Paul Newman seems either bored or lost as he tries to keep this poor comedy from imploding. The introduction of the Hanson Brothers lifts the film, but not enough to get our recommendation.